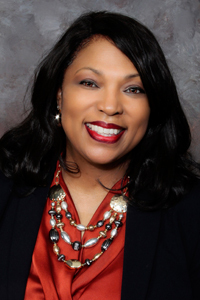 Felicia Blow, who for the past three years has led fundraising efforts at Paul D. Camp Community College, will join Tidewater Community College on June 1 as vice president for Institutional Advancement and executive director of the TCC Educational Foundation. The Educational Foundation cultivates support for the college from companies, foundations and individuals. During the 2013-2014 academic year, the TCC Educational Foundation awarded scholarships to 168 students, representing more than $165,000 in awards. At Paul D. Camp, Blow completed the college’s first-ever major gifts campaign, raising more than $7 million, and increased fundraising by more than 220 percent. Blow joined Paul D. Camp in 2012 after four years as director of public affairs at Cox Communications. In addition to leading the Paul D. Camp Community College Foundation, she also served as vice president for institutional advancement, which encompassed enrollment marketing, public relations, social media and online communications. For nine years, she handled public information and marketing for the Southeastern Public Service Authority, the regional waste management and recycling organization. Previously, she worked at Caterpillar Inc. in corporate communications and WMBD-TV in Peoria, Ill., as an editor and reporter. A Franklin resident, she sits on the boards of Franklin-Southampton Economic Development Inc., Southampton Memorial Hospital and Franklin Rotary Club. She is vice chair of the Suffolk Division of the Hampton Roads Chamber of Commerce. Blow holds a master’s in business administration from Strayer University and a bachelor’s in mass media arts from Hampton University. For more information on supporting scholarships for TCC students, contact the Educational Foundation at 757-822-1080 or foundation@tcc.edu.